First of all a hearty congratulations at finally ending your 25 hour goal drought at Leicester City last Sunday. We as Chelsea fans have always had the confidence that you would end this drought and despite all the Doubting Thomases (read Liverpool fans and other EPL teams) we always believed that you would come good. This being said it comes as no surprise that although you were involved in all five goals scored against Leicester there have been people disregarding the fact because it came against, well, Leicester. Yet I believe that Roberto Di Matteo has finally found out how to make you score goals.Your run down the right wing to deliver the pass to Kalou was a sight to behold. It showed us why we payed the 50 million. Leicester game: Great Birthday Gift! In the last couple of months when you hadn't been scoring goals you were ever present in the assists column. One of my favorite assists is the looping cross to Juan Mata who scored Chelsea's second goal in the 3-3 draw with Manchester United. That cross proved that you still had the quality and the skills, only confidence was lacking. Another widely sensationalized hot potato of your fledgling career at Chelsea was the glaring miss in the 3-1 loss to Manchester United at Old Trafford not the goal you scored so skillfully. After having deftly rounded David de Gea you missed an open net and opened the gates to a barrage of insults and jokes. We Chelsea fans took the humiliation upon ourselves too and defended you once more. Signs of improvement were seen when you scored in the next game against Swansea but then went and got yourself red-carded for a silly two footed tackle which got you suspended for three games. But now times have changed. Andre Villas-Boas has left. Roberto Di Matteo has taken over. A new life has been breathed into the squad. With 4 wins out of 4 games, the squad looks revitalized and especially you. We all saw that the pace had returned, the trickery had resumed and defense splitting passes had been added to your arsenal, but now with a brace of goals and assists in a single match confidence must have returned and we will be hoping that you will score and play crucial roles in the three crunch games against Manchester City, Tottenham Hotspur and Benfica. Manchester City vs Chelsea: Torres Encore needed! Thank you for believing in yourself and persevering game in game out. We as Chelsea fans are sure you'll break back into the Spanish squad. Before I forget, a very Happy 28th Birthday to you. It makes me very proud to share my birthday with you. 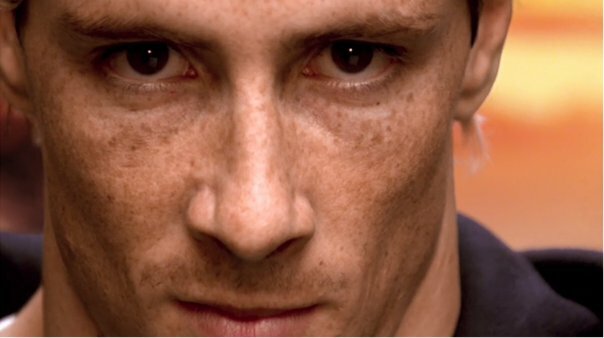 Fernando Torres. Respect.